Mary and I will be meeting part-time shop employee, guide, instructor, and good friend, John Hoffmann for a relaxing afternoon and dinner before the class. Friday evening, March 13, I am presenting a fly tying class at First Cast Fly Shop in Guelph, from 6 to 9:30 PM. Rates and reservation information is now posted for both shop classes. The Niagara Region Flytyers Event has a few remaining tickets for sale to the public, at $20 each. Saturday March 14, I am presenting a fly tying demo in St. Catherines, for the Niagara Region Flytyers Club, to be video -played on a TV screen, time of this demo is from 11 AM to 4 PM. There will be a couple breaks in this five-hour session. 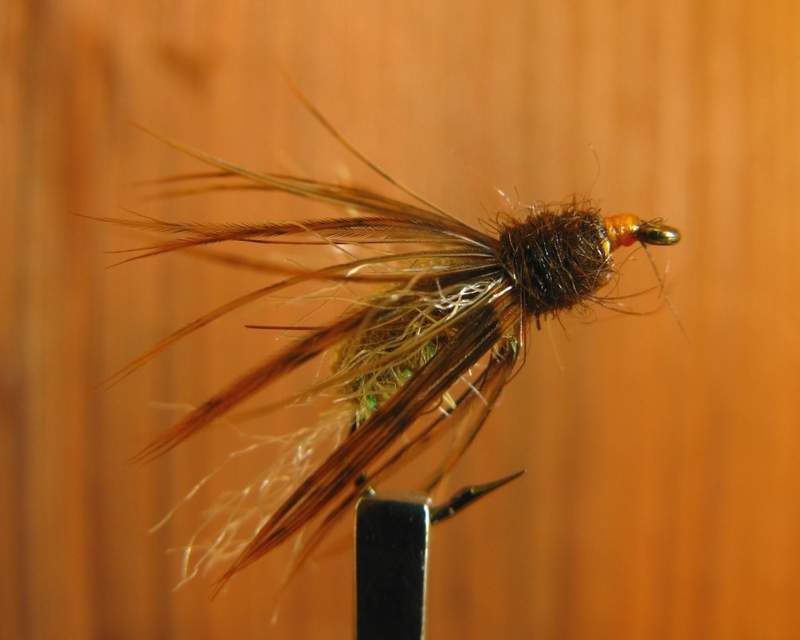 One highlight of the classes and demo will be the tying of Bastian’s Floating Caddis / Mayfly Emerger. Specific information about the patterns in these sessions can be obtained from the fly shops. As yet I am not certain that the event in St. Catherines is open to the public. 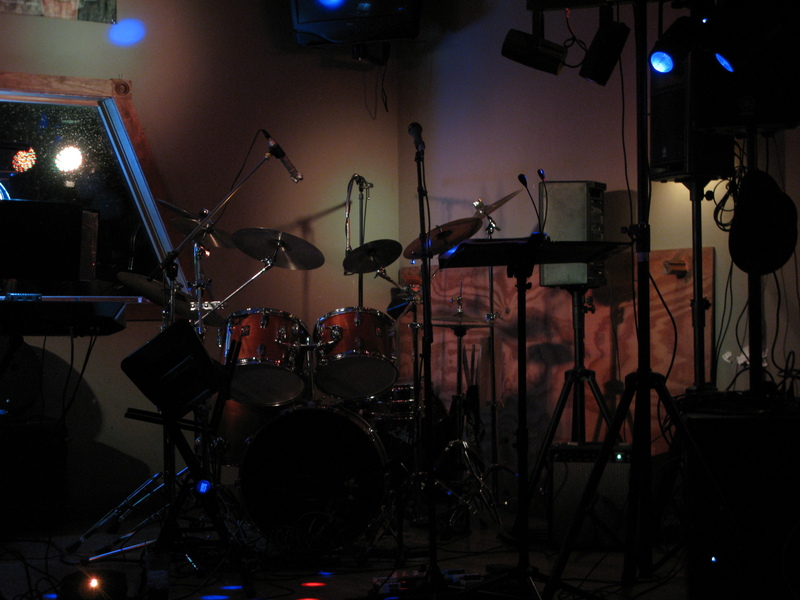 My vintage 1975 English-made Premier Powerhouse 2500 drum set…prior to the start of a local gig. This is going to be a great trip! Anyone interested in these classes, please feel free to let me know in the comment section.